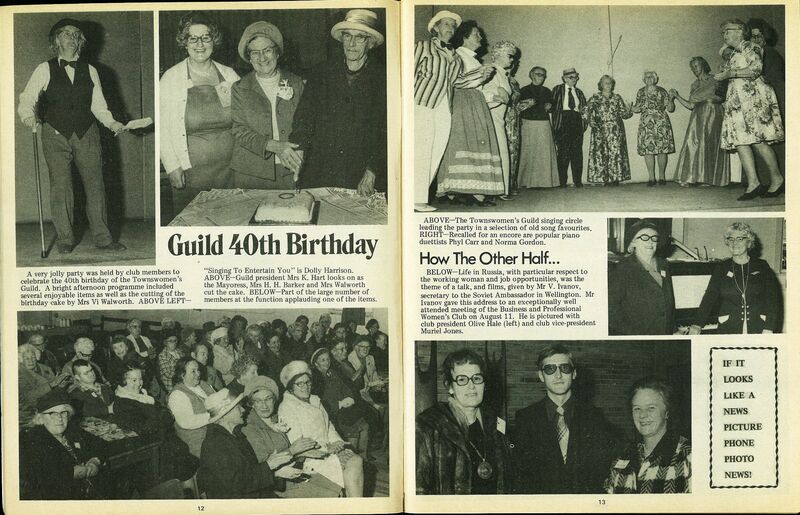 A very jolly party was held by club members to celebrate the 40th birthday of the Townswomen's Guild. 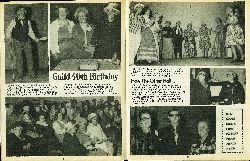 A bright afternoon programme included several enjoyable items as well as the cutting of the birthday cake by Mrs Vi Walworth. 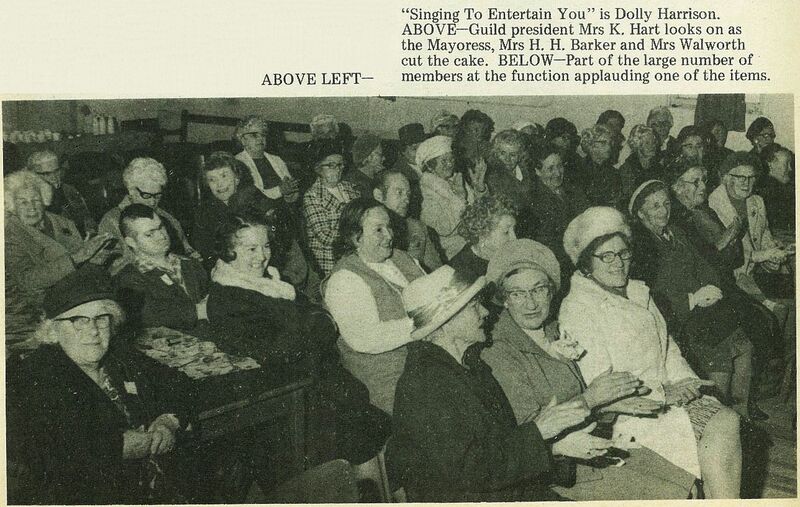 "Singing To Entertain You" is Dolly Harrison. 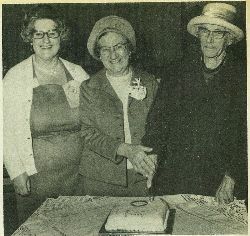 Guild president Mrs K. Hart looks on as the Mayoress, Mrs H. H. Barker and Mrs Walworth cut the cake. Part of the large number of members at the function applauding one of the items. 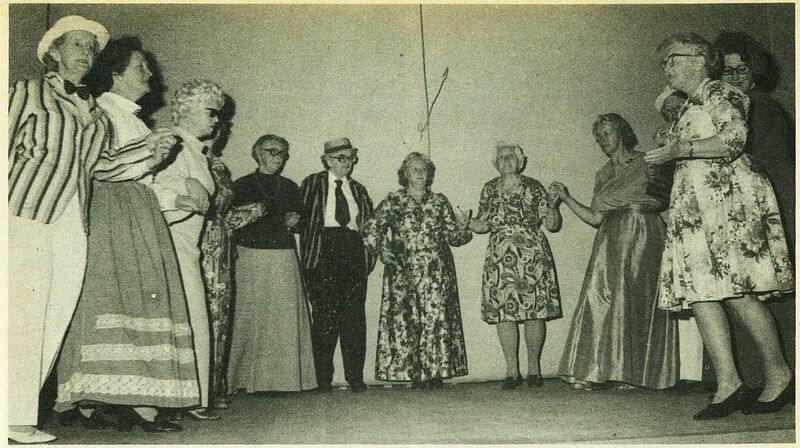 The Townswomen's Guild singing circle leading the party in a selection of old song favourites. 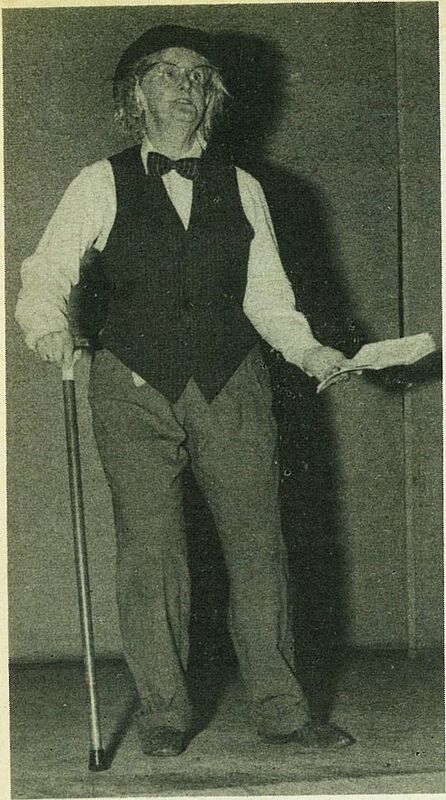 Recalled for an encore are popular piano duettists Phyl Carr and Norma Gordon. 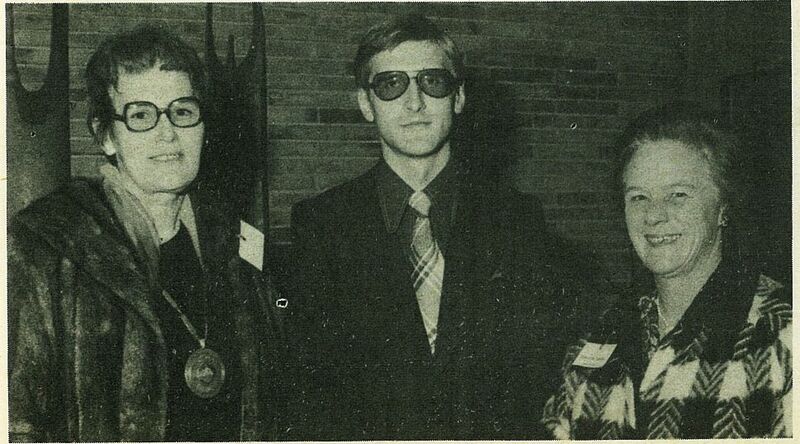 Life in Russia, with particular respect to the working woman and job opportunities, was the theme of a talk, and films, given by Mr V. Ivanov, secretary to the Soviet Ambassador in Wellington. 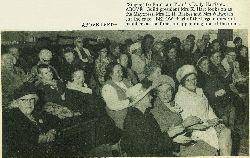 Mr Ivanov gave this address to an exceptionally well attended meeting of the Business and Professional Women's Club on August 11. 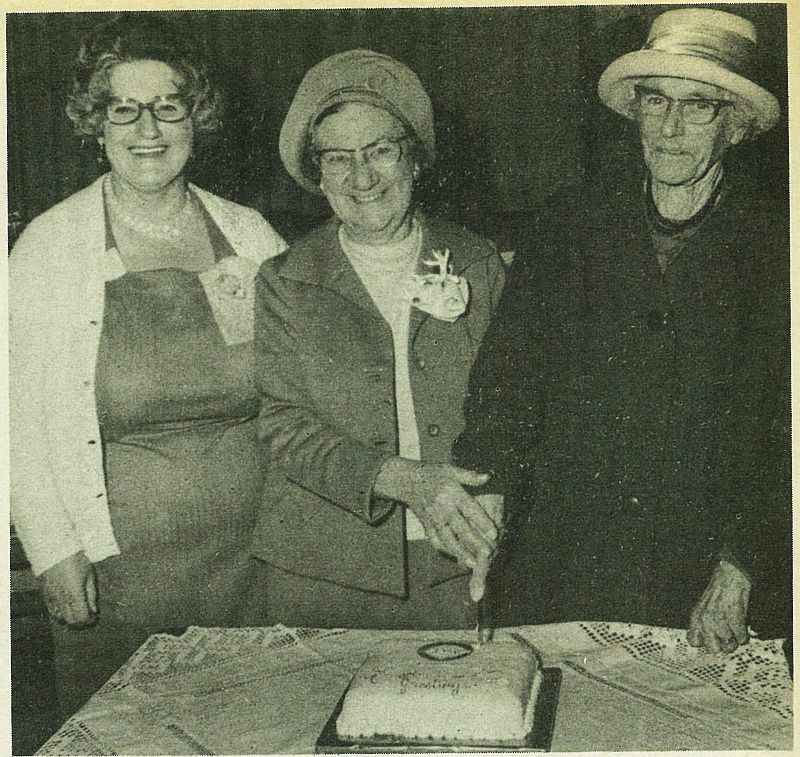 He is pictured with club president Olive Hale (left) and club vice-president Muriel Jones.